The Dust Bowl is the term used to refer to the drought conditions that occurred across North America during the 1930s and the time period of the Great Depression. 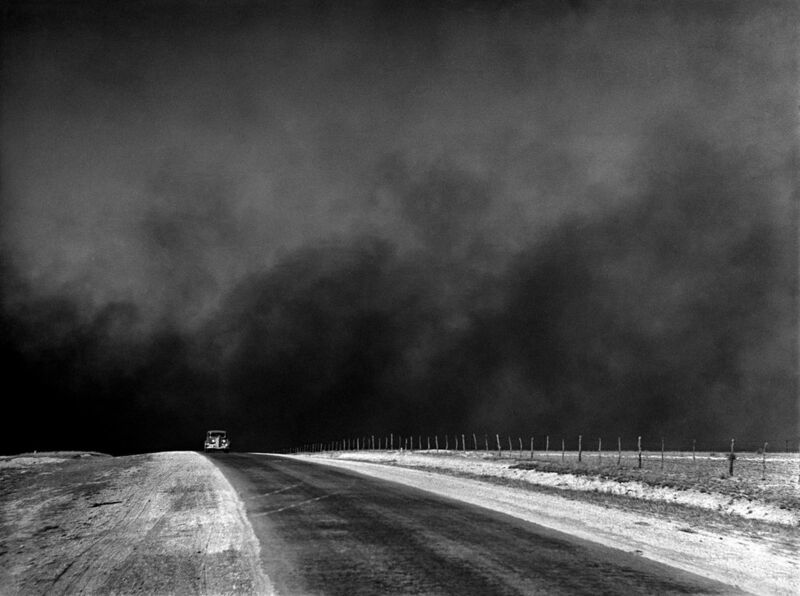 Also referred to as the Dirty Thirties, the Dust Bowl affected over 100,000,000 acres of agricultural land across Canada and the United States. In the United States it was generally centered on farms in Colorado, Kansas, Oklahoma and Texas. This region of the United States was a historically dry area and received a relatively low amount of rain per year. As well, the area had a thin layer of top soil that had traditionally only supported dry grasses. As such, it was not ideal for extensive farming which was one of the causes for the devastation of many farms at the time. For example, farming practices used at the time that led to the ‘over-farming’ of the region included: deep plowing and mechanization. The thin layer of top soil was generally supported and held in place by the deep roots of the grasses that grew in the region. Once settlers arrived and replaced the grass fields with cultivated crops, it caused the top soil to lose its ‘anchor’. The deep plowing of the fields dried up the top soil which allowed it to be eroded more easily by the wind. As well, farmers in the area had begun using tractors and combines in their harvesting, which overworked the soil and furthered the dry conditions. As a result, historians now understand that aggressive farming practices combined with a drought led to deterioration in the soil quality and caused the top level to erode into a dust. When strong winds hit the region, it quite literally caused entire fields to be swept away across the country. The dust was lifted high into the air and caused a blackening of the sky, and many people referred to them as ‘black blizzards’. Throughout the 1930s, many wind storms destroyed the farms on the plains of Canada and the United States, and were so powerful that dust affected major cities, such as: Chicago and New York. 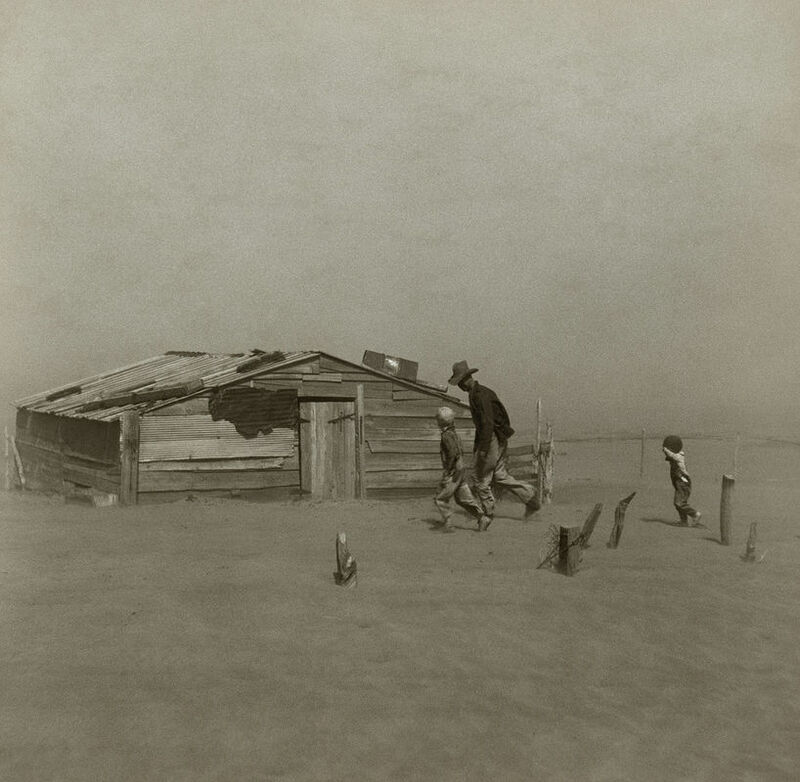 Because of the Dust Bowl, many families were forced from their farms. Farmers had already been struggling due to small family farms being bought out and replaced by larger ones which relied more on mechanization. As such, when the drought hit the area many were unable to pay their debts and forced off of the land by the banks. In total, the Dust Bowl left over half a million Americans homeless and caused a migration of over three million people out the American Midwest. Famously, many of them relocated to the west coast in hopes of finding employment in other agricultural work, but were often met with the harsh unemployment caused by the Great Depression, which was devastating all parts of the country at that time. Entire families loaded all of their belongings onto their vehicles as they made the arduous journey out of the drought-stricken area. The Dust Bowl migration remains the largest migration in United States history, which occurred over a relatively short period of time. 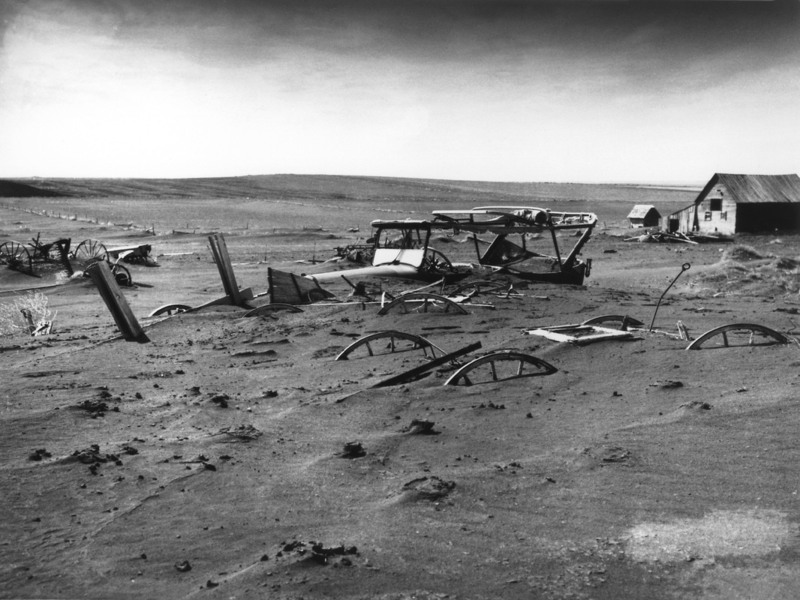 In response to the Dust Bowl, the United States established several initiatives to conserve soil and prevent a similar disaster in the future. For example, Franklin D. Roosevelt ordered the planting of more than 200 million trees across the plains with the goal of: breaking the wind, anchoring the soil in place, and keeping water in the soil. Also, the United States government began educating farmers on different farming practices that would not dry out the soil as it did before. In general, the Dust Bowl worsened life for many Americans during the Great Depression and remains one of the most important events in American history.